No matter what your laptop buying experience is, chances are you have sat in a store trying to decide if you should buy a laptop with a graphics card or without one. It can be a tough decision, and it is one that you have to weigh carefully because your decision can truly shape your laptop experience and how you use the laptop you buy over the next several years. While there isn’t much I can do if you have already made your purchase, perhaps I can help those of you that are currently in the market for a new laptop or those of you that will be buying one in the future. Today, let’s look at what you can expect from a laptop with a graphics card and the drawbacks of purchasing one. Once we do that, we will examine several reasons to buy a laptop with a graphics card. 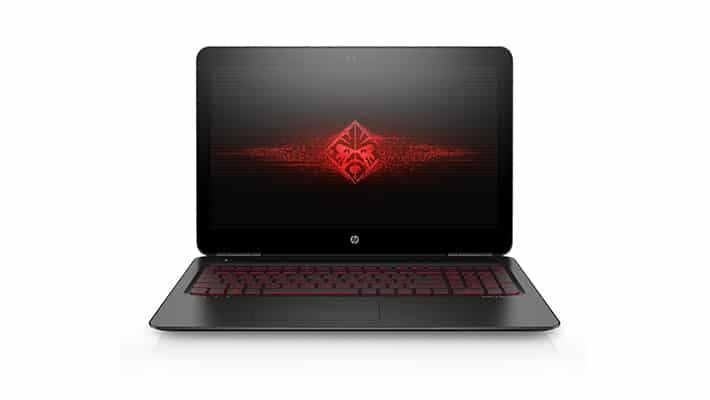 My hope is by the time you finish reading the article, you will instantly know whether or not you need a laptop with a graphics card or if you can live without one in your next laptop purchase. Shall we get started? If you do decide to buy a laptop with a graphics card, there are several things you can expect. Your laptop will be more powerful and chances are it will also come with higher specs when compared to a machine without a graphics card. That means the processor will most likely be a bit better, it will be equipped with more RAM, and you could even have a faster hard drive. You will be able to run almost anything you try to load on it. This includes high end software and even games. Of course, your mileage will vary based on the type of graphics card you buy, but chances are you will be able to run most anything out there. It will also last you longer. Because of the higher end specs, this laptop should last you a bit longer compared to one with onboard graphics. That means you will be able to go longer before you have to start shopping for something new, which is always a good thing. 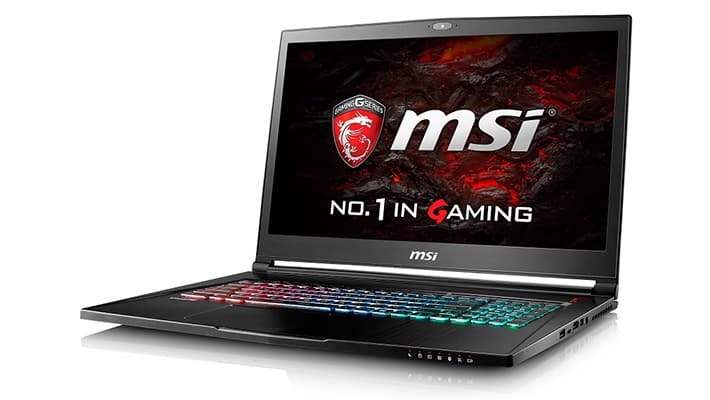 In addition to the benefits you can expect that I listed above, there are also a few drawbacks that you need to be aware of before you buy a laptop with a graphics card. It will cost more. Because you buying something with higher end hardware and the addition of a graphics card, you have to expect to pay more for these devices. That means investing more of your money up front even though it will last you longer in the end. It will be heavier. Because there is better hardware in your machine, there will be a little extra weight. Chances are it won’t be enough to really give you pause but if you are looking for something to travel with, you may want to consider other options. It will be bulkier. Because of the addition of a graphics card, the laptop needs more space for all of the components and it has to add a bit of room for airflow to cool it properly. Without this space, your laptop could overheat and then it wouldn’t be very useful, now would it? There will be more noise. We love our quiet machines these days, but a laptop with a graphics card will have extra fans in order to cool the card. When you aren’t taxing the card, things will probably be pretty quiet. But you will notice pretty quickly when you start to use the card that it will get much louder. Your battery life will suffer. A graphics card can use quite a bit of power, especially when you are gaming or using applications that require extensive use of the video card. This will put a strain on your battery. It’s pretty much known these days that laptops with graphics cards have less battery life compared to onboard cards that don’t use as much power, but it is still something you need to be aware of before you invest in a laptop such as this. Now that you know some of the benefits and drawbacks of a laptop with a graphics card, let’s look at some of the reasons why you should buy. This should help you make your final decision about what you should buy. Let’s start with the most obvious reason on this list. While it’s obvious, it probably is the most important. If you are a gamer or you want to start playing a few games on your laptop, then you simply must get a machine with a graphics card. For under $500 you can start getting some entry level gaming laptops with graphics cards. At around the $1000 mark, you can find some machines with fairly powerful cards, and for under $1500 your gaming laptop will be bordering on VR ready. The only time you shouldn’t is if you only enjoy playing a few older titles here and there. 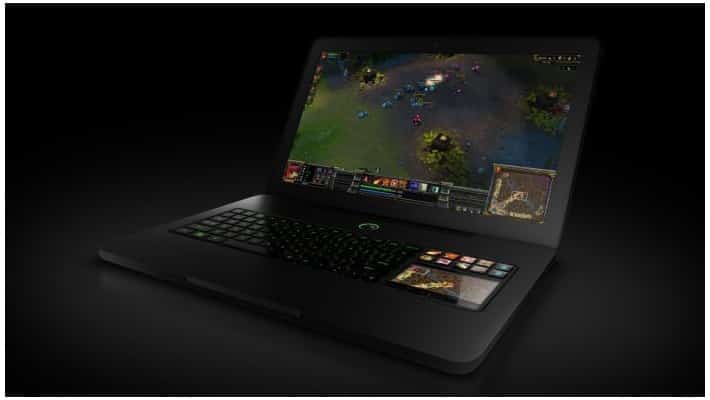 However, if you are big into gaming and you want to be able to play a lot of the most recent and popular titles out there, then you have to get a laptop with a graphics card. You simply have no choice. You need a machine that can offload the graphics to the card and let it do the heavy lifting. Modern Class A titles such as Prey require far more than any integrated CPU graphics can handle. This will give your machine the ability to process the fancy and often beautiful graphics of the latest titles with ease so it can output them to your screen in your native resolution while still maintaining a decent frame rate to make things playable. Graphics applications such as Photoshop and Illustrator don’t necessarily require a video card to work. But I think you will find if you use them on a machine that has one, you will be much happier. In fact, these applications are designed to make use of your graphics card for processing if you have one. This can speed up your design and saves tremendously. If all you do is simple graphics, it may not be necessary. However, if you make 3D objects or create very large graphic files, having a graphics card in your laptop is a big plus and you will be glad that you have one. It just makes the process more fluid with less lag and improves your saves times. At the end of the day, that can be very important. While video playback is easy for even the slowest of modern laptops to handle these days, if you want to render video it is a different story completely. What I mean is if you are using video editing software to create and save out your own video, then you are going to need a machine with a graphics card. While the other machines may work, you will find the process slow and frustrating while you wait for potentially hours for your video to complete its render. If you use a graphics card, you can offload that work onto your graphics processor and get things done much faster. Because a laptop with a graphics card is often considered more “high-end” and costs more, laptop makers often include better hardware into these machines. While this does sacrifice battery life, the end result is a machine that is much faster on everything you do. This is a big bonus if you use your laptop for everything from word processing to email to web browsing and, of course, gaming and graphics applications. If you are shopping for the very best out there, chances are you will be picking up a machine with a graphics card. Just make sure it fits into your budget if this is the route you choose. Not everyone needs a graphics card in their laptops, but for others it’s essential for a good computing experience. Which one you need really depends on you. If you use applications that would be considered “high graphics,” such as Adobe Photoshop, video editing software or any game, then I promise you that you will love having a machine with a graphics card in it. If, on the other hand, your usage is more basic and limited to email, Internet, and other basic functions, then there is simply no need for you to spend the extra money. You won’t make use of the hardware and I bet some of the limitations you get with a graphics card will start to get on your nerves after a while. As you can see, there are many great reasons to buy a laptop with a graphics card, especially if you enjoy video games. Even casual gamers should probably invest in a laptop with a graphics card, even if they don’t go with one of the high end cards. Still, if you don’t use heavy graphics applications or play games, you may not need it. Sure, most laptops with graphics cards tend to be more powerful than their onboard graphic cousins, but do you really need that extra power to do what you want to do? Probably not. Remember to take into account how you use it when shopping for your laptop. If you only surf the web, edit documents and watch the occasional movie on your machine, then you won’t take advantage of the benefits that video cards bring to the table. So why then would you incur the added expense that comes with buying a laptop with a video card. It just doesn’t make sense. In the end, you need to buy based on what you want and/or need to do with your laptop. If you do that, you will find the perfect machine to match your needs and your budget. Matt is an IT professional with over fifteen years experience supporting network infrastructure and computers. An avid gamer, Matt enjoys his time playing and writing about his experiences both in the IT world and in the gaming communities. You can find more of his writing for LaptopNinja where he enjoys talking about everything tech. Thank you, Matt, for the article. This will help me justify the next laptop we buy. The last one had dual Radeon graphics and it’s still running after four + years. We run online games like World of Tanks and War Thunder with no trouble. Lovely explanation! Thank you tons!